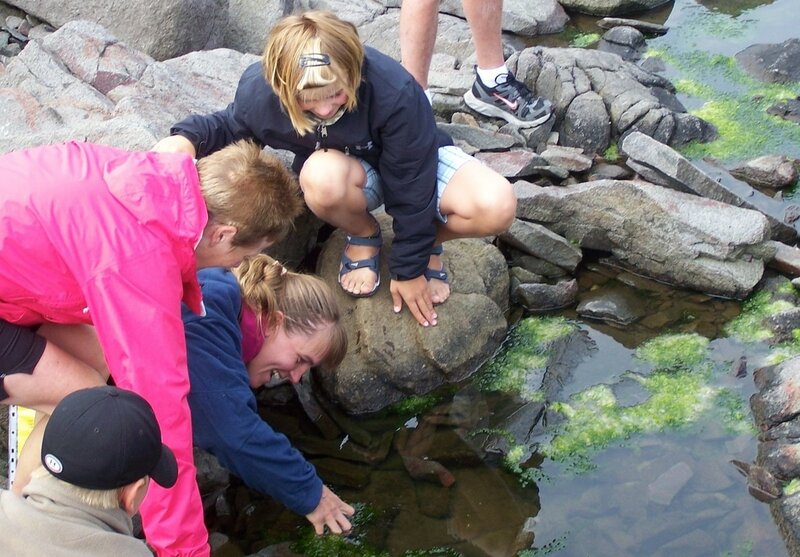 Exploring the tidal pools on the shore at Point Prim. Click here for directions to Point Prim. Starting at the roomy gravelled parking lot, 200 metres of crusher dust trail lead to viewing points, benches, picnic tables and offer access to the rocky shore ledges. Point Prim, jutting out into the Bay of Fundy at the mouth of the Digby Gut, offers spectacular views of the sea and shore. The view is so good and so easy to get to, Digby fishermen often drive here to check the weather “outside” on the bay. You’ll see crashing surf; lots of birds and other wildlife; you can watch fishing boats coming, going and hauling lobster traps and see the Fundy Rose ferry to New Brunswick steaming in and out of Digby Gut. Seals regularly hang out here, occasionally porpoise swim by and, if you’re really lucky, whales will put on a show you can watch from shore. Point Prim is also just a great place to sit and relax and enjoy the refreshing sea breezes and listen to the waves. The grounds around the lighthouse include a small park with a roomy parking lot, short trails leading to the best vantage points, interpretation signs, picnic table and benches. 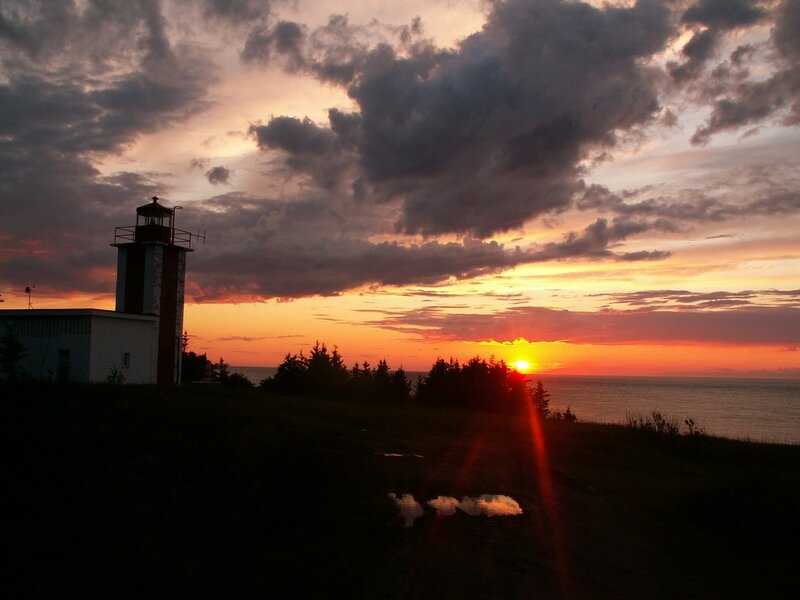 Point Prim is the perfect spot to end the day - only a 10-minute drive from downtown Digby. 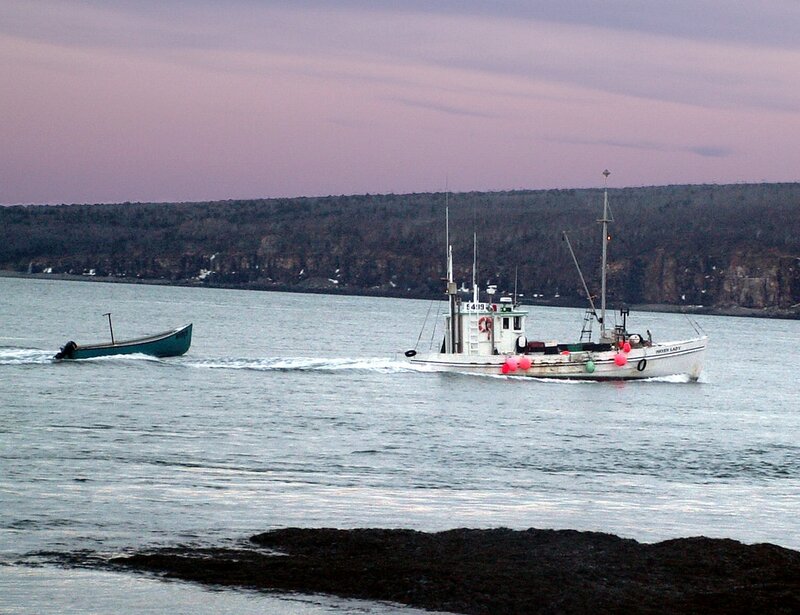 Watch fishing boats, sail boats and ships of all sizes and shapes travel to and from Digby via the Digby Gut. 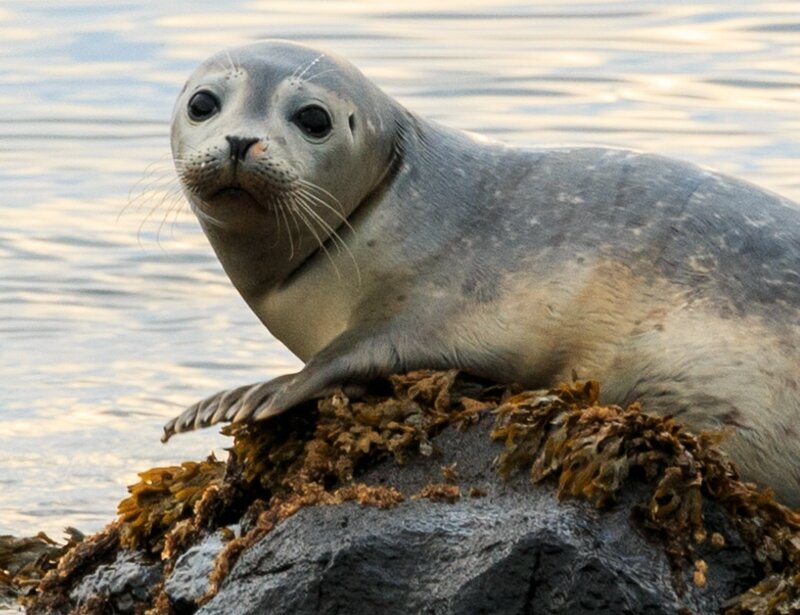 Seals are always popping up at Point Prim, porpoises often swim by and now and then you can even see whales from shore.